One of the last stalls to open in the new Market City Level 1 Food Court is Kaedama Ramen Bar, complete with Japanese style wrap around eat in counter. Kaedama is right upfront about what they are what they do, slotting into the hakata style of thick pork tonkotsu style noodle soups and offering kaedama, or extra noodles to add in when you have loads of broth left, for $2.50. Japanese ramen can cause obsessive review and scrutiny in Sydney with most new places endlessly compared against Gumshara. While we don't want to waddle into that fight, we do like the simpler, less intense pork broth at Kaedama, it's a variant not a challenge. 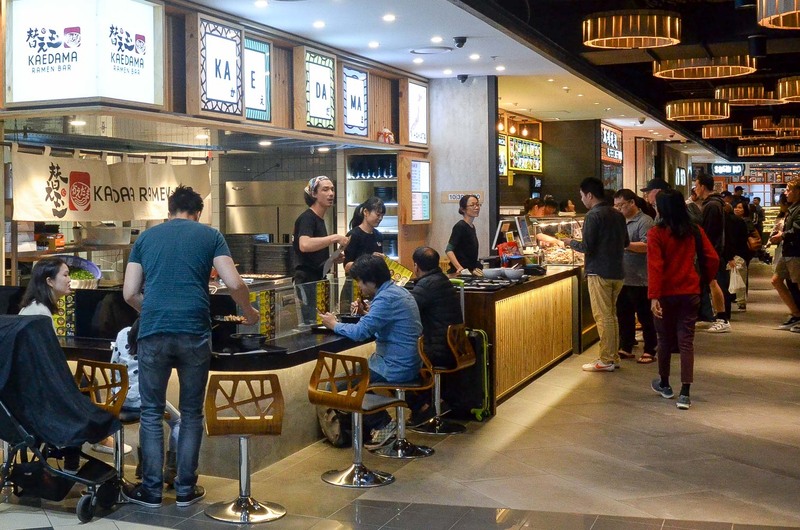 We also love the wrap around counter where you can sit and eat your noodles and watch them being prepared. The only difference to Japan is the wider space between eaters, there's no need to smash elbows with your neighbour here. It's also far better than sitting inside the dimly lit eating area in Market City which has cleverly found a way to cut out all the wonderful full light inside the shopping centre and make you feel like you're in a cheap nightclub. Hakata ramen - $11. 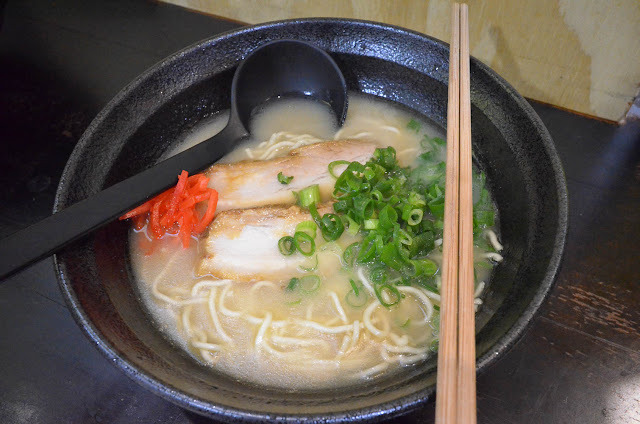 Mr Shawn loves him some hakata - a light pork broth that is almost milky in consistency, with a fine chomp and spring to the noodles. Happy. The pork (char sui) is a neat couple of slices, not too fatty and cut too thick, they fold up neatly on your chopstick for quick entry to your gob. We also love the help-yourself ginger, sesame seed, chilli powder and spicy takana on the front counter. Paying extra for ginger always makes Alison's blood boil, it's such a good touch to offer it free. Miso Spicy Ramen, $13. Miso ramen is one our favourite variants, this one is mixing the thicker tonkotsu pork broth with a dollop of miso and just to up the ante, a slick of chilli. This was a real over the top combo, so many big flavours. 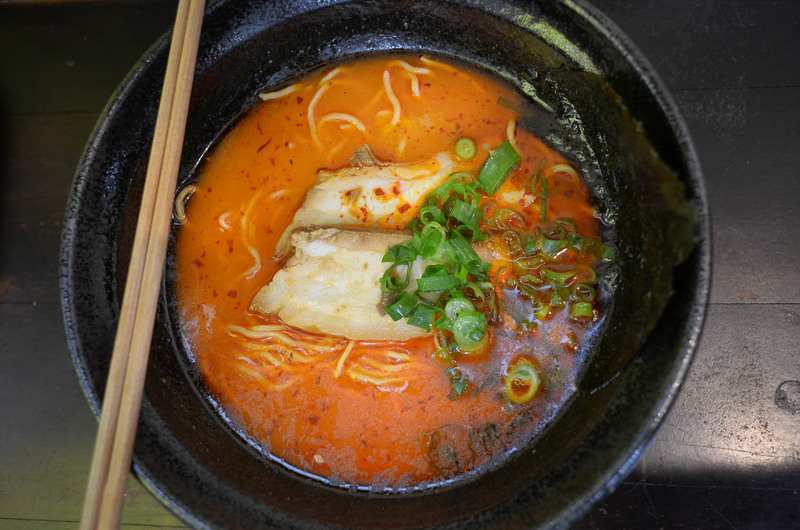 Shio spicy ramen - $13. This spicy number was toned down in the uber flavour stakes by using a simpler pork shio (salt) broth mixed with the spice paste, and we loved it. The noodles have a squiggle and bite and the size of the serve is just right. We'd love to try just this broth with miso or on it's own. 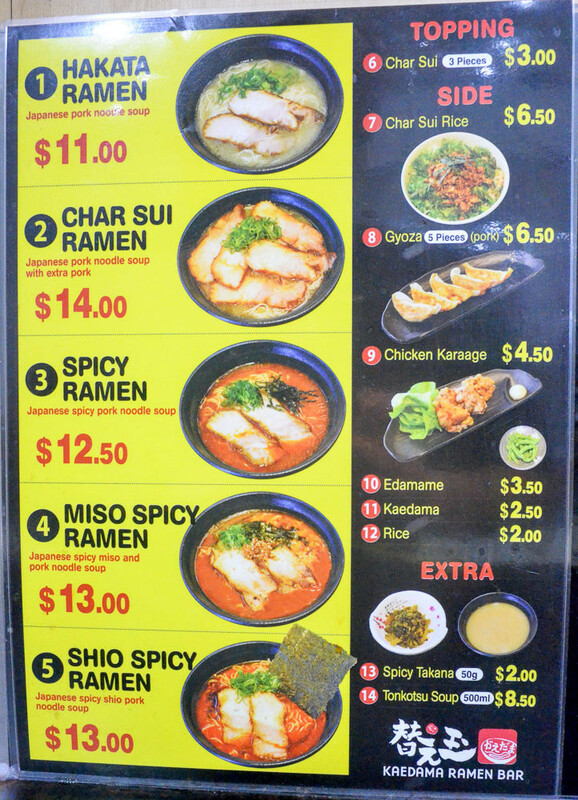 In the ramen business a short menu is a good menu. You'll have to BYO an onsen tomago if you need that in your soup, they don't offer eggs at all. Kaedama Ramen Bar is at Level 1, Food Court, Market City Centre, 9-13 Hay Street, Chinatown.